King posts, deadheads and hogging may not be part of everyone's vocabulary today, but at one time they were descriptive terms that those involved with sternwheelers and lake travel knew well. 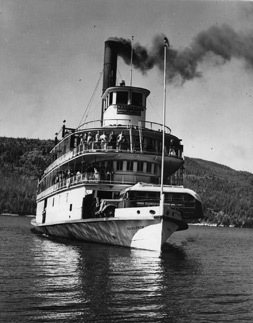 Learn new terms, clarify descriptions and find informative sources for information that relates to the time when sternwheelers plied the water of Kootenay Lake. © 2009 Touchstones Nelson: Museum of Art and History. All Rights Reserved.